THE WORST TYPE OF HUMAN INTERACTION. Produced by women in film nonprofit Pitch Her Productions and written by Justine Neubarth, Run-Ins is a 7-episode comedy series exploring those unwanted, awkward encounters in New York that we've all begrudgingly endured. In order to support and connect women in film, we have approached this project as an Episodic Lab. With this innovative lab format, each episode showcases a different female director and female cinematographer, resulting in a mosaic series that boasts a collection of female voices and aesthetics. If you are interested in getting involved in future iterations of our lab, please contact us! 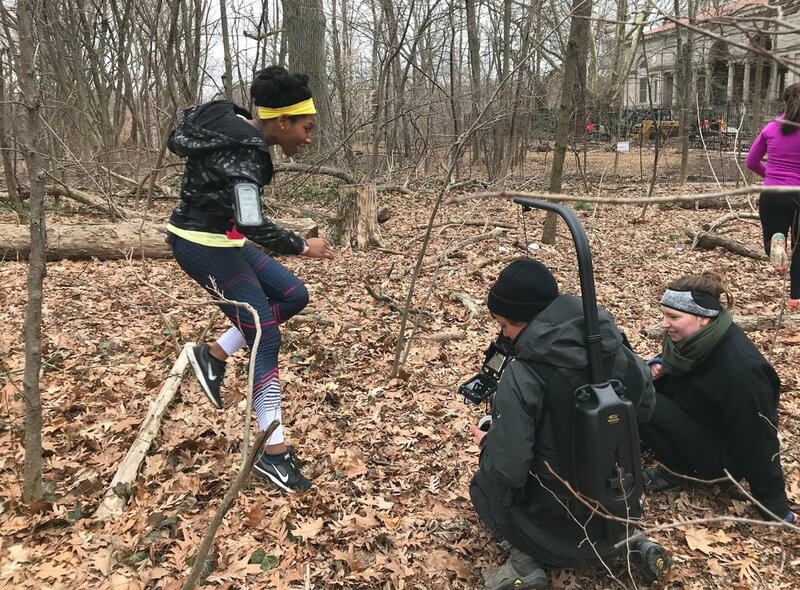 Actor Aubrey Taylor, Cinematographer Liza Gipsova and Run-Ins Creator Justine Neubarth on location in Prospect Park, Brooklyn, for Episode 2. Pitch Her Productions is a nonprofit production company formed for the purpose of encouraging, fostering, and promoting the advancement of women in the film industry, including the creation of more roles for women, both in front of and behind the camera. Co-founders: Caitlin Morris, Gloria Muñoz and Chanel Waterhouse. Photo by: Devon Moore Curtin. Logo design by Bernie Callahan. Title design by Taylor Goodell Benedum.